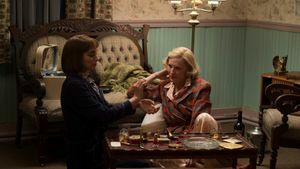 In an adaptation of Patricia Highsmith's seminal novel 'The Price of Salt', the film follows two women from very different backgrounds who find themselves in an unexpected love affair in 1950s New York. 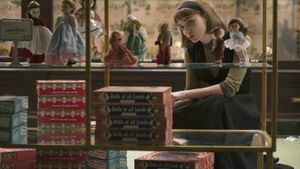 As conventional norms of the time challenge their undeniable attraction, an honest story emerges to reveal the resilience of the heart in the face of change. 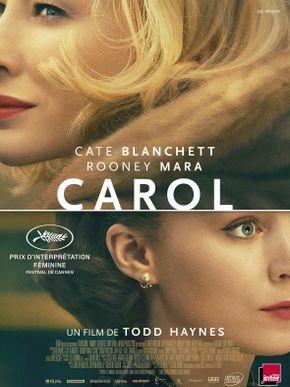 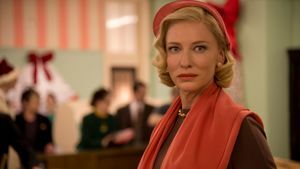 A young woman in her 20s, Therese Belivet (Rooney Mara), is a clerk working in a Manhattan department store and dreaming of a more fulfilling life when she meets Carol (Cate Blanchett), an alluring woman trapped in a loveless, convenient marriage. 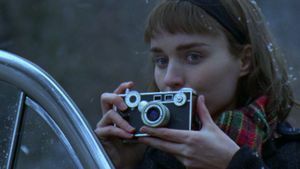 As an immediate connection sparks between them, the innocence of their first encounter dims and their connection deepens. 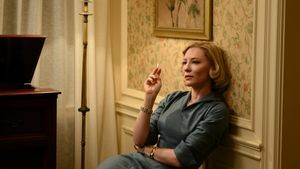 While Carol breaks free from the confines of marriage, her husband (Kyle Chandler) begins to question her competence as a mother as her involvement with Therese and close relationship with her best friend Abby (Sarah Paulson) come to light.